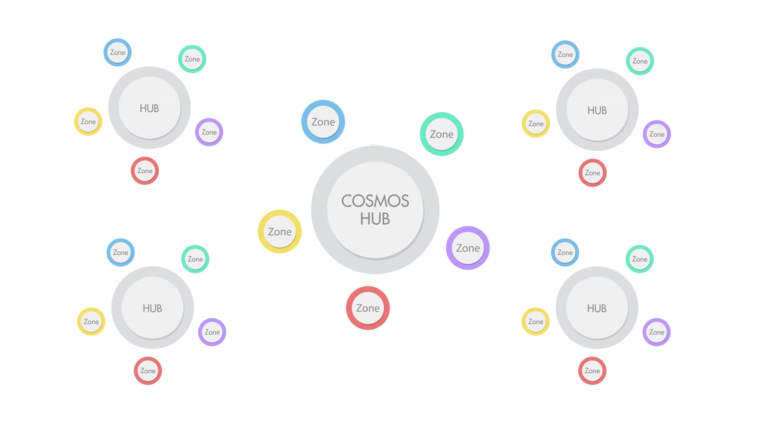 With the mining of its first block at 23:00 UTC, the project has launched Cosmos Hub, the first in a series of proof-of-stake (PoS) blockchains that will be created in the Cosmos ecosystem. At present, users of the network will not be able to swap tokens between blockchains or otherwise connect to Cosmos Hub with existing blockchain networks until validators officially vote to activate what is called the Inter-Blockchain Communication (IBC) protocol. The first phase of today’s Cosmos network launch comes after nearly three years of planning and development. Having debuted the concept for the blockchain interoperability platform back in summer 2016, Cosmos later raised over $16 million in an initial coin offering (ICO) in 2017. Since then, Tendermint Inc. – a for-profit entity behind the core technology of the Cosmos network – has been releasing preliminary developer-focused products. As such, Manian said that the Cosmos Software Development Kit (SDK), which debuted back in February 2018, is already being used by high-profile crypto companies such as the Binance exchange. 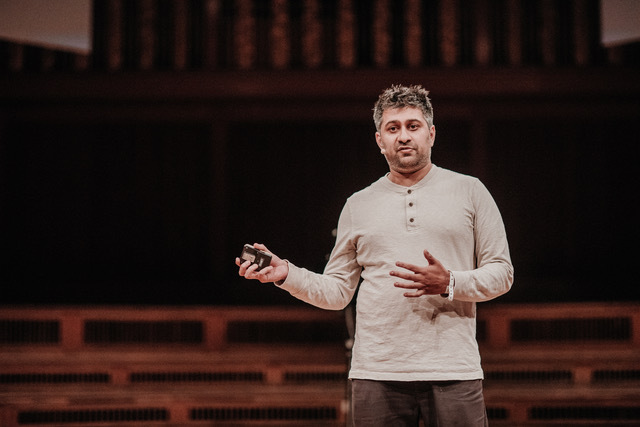 “Out of all these building blocks, [you’ll be able to compose] an entire … open system of finance that operates to scale and can be composed of individual, specialized chains that do different things,” Manian said. Today’s launch was a significant step toward that broader, expansive vision – one that Manian points out will “take years to fully manifest.” The main purpose of Cosmos Hub launch is to establish the broader ecosystem of validators, entities that stake tokens on the network, while Manian’s team continues to work toward cross-blockchain capabilities. “In order to make this whole vision of connecting blockchains work, there needs to be a set of operators who have skin in the game to coordinate this blockchain network,” said Manian. Normally, in a proof-of-work (PoW) system similar to bitcoin or ethereum, these validators are miners who compete for block rewards by operating computer servers and expending large amounts of electricity. Validators in a PoS system, on the other hand, are “selected” by the system based on a separate metric of staked tokens in order to participate in block creation and transaction finalization. And while Cosmos participants successfully tested this system of validation with roughly 200 computer servers called nodes in a former dummy environment called Game of Stakes, there had never been real value at stake by participants before today. “[Today’s launch] is about unleashing those live economic incentives and having value at risk for the first time and then letting this set of economic incentives that we’ve designed select who the [validators] are,” said Manian. According to Manian, this is a crucial foundational step that Cosmos developers are cautious about getting right. For now, Cosmos users are not allowed to transfer their holdings of the native network currency – ATOM tokens – just yet. But once both the system and the validator set are deemed to be in stable condition, token holders will vote on when to enable live ATOM transfers. Thereafter, a secondary vote will be held to connect new blockchains also called “zones” to the Cosmos Hub and begin swapping heterogeneous cryptocurrencies and non-fungible tokens (NFTs). Manian told CoinDesk there are 70 validators at Cosmos Hub launch committed to securing the network. Some of these validators are focused on staking tokens as a service to wider ATOM holders. In a sense, this is almost like leasing out crypto assets in order to earn returns and may encourage new users to flock to the Cosmos ecosystem. Shayne Coplan, founder of the Union Marketplace for such service providers scheduled to launch in April, told CoinDesk that over the next few months a “cross-network layer of reputation” for these validators will emerge. The rewards these stakers and holders gain are generally earned in the ATOM token but in future may also be earned in wrapped forms of alternative cryptocurrencies such as bitcoin and ether. While Union Marketplace has quietly collected around 230 validators across all its various staking networks as it gears up for launch, Coplan expects the Cosmos launch, in particular, will inspire more players to experiment with these types of services. Plus, Certus One’s Telegram group for retail ATOM users signed on 60 members within the first 24 hours of opening, Hofstadt added. Meanwhile, Joe Pindar, co-founder of the validator startup Block3, told CoinDesk this type of ecosystem opens up a new type of investment opportunity. South by Southwest (SXSW) organizers say that was the first inkling that cryptocurrency could play a leading role in the annual innovation conference in Austin, Texas. Now, in the midst of a prolonged bear market, 2019 will be the first year SXSW will feature an official blockchain and cryptocurrency track, from March 14–16. SXSW is all about being on top of the zeitgeist, Todd Hansen, SXSW’s head of conference programming, told CoinDesk. “It finally, really in a mainstream way, broke through, because everyone was talking about it,” he said, explaining cryptocurrency’s prominent place in this year’s conference. Hansen told CoinDesk that blockchain programming at the 2018 event saw a strong response from festival crowds. Of course, that was just months after BTC had touched $20,000 and initial coin offerings had reached a fever pitch. In that spirit, one company ran a tongue-in-cheek side event on March 11, 2018 called the Initial Taco Offering. For those unfamiliar: SXSW has gotten so big that there’s a whole separate level of programming in off-agenda events that occur across downtown Austin. They range from super exclusive parties to open-to-all workshops. Despite layoffs late last year, the crypto firm with the biggest presence at SXSW 2019 appears to be Brooklyn-based ConsenSys. The ethereum-focused venture studio made its first foray to Austin as a company in 2018. “When we saw Joe Lubin and Laura Shin fill the same 2,000-person auditorium as Elon Musk a few days later, it was a signal that blockchain and Ethereum were transcending tech and finance circles,” ConsenSys spokesperson Kara Miley told CoinDesk in an email. SXSW saw the signal too. This year, the blockchain track starts as the rest of the tech-industry programming tapers off. The organizers are hoping that by running blockchain programming concurrently with the start of the music event it can bring in a second wave of professionals to Austin, effectively extending the innovation summit. With SXSW undertaking its first official foray into crypto, CoinDesk wanted to flag a few highlights. People who come mainly for the tech conference but want to dabble in blockchain can stop by the ConsenSys blockchain house, which will run from March 10–14. For a more casual introduction to the topic, ConsenSys will show a short documentary Monday night about using ethereum to clean trash out of Manila Bay. Attendees can also go deeper and experience the blockchain as an extended game. PricewaterhouseCoopers is running a three-hour demonstration that will get participants to play-act as nodes on a ledger. Sadly, it’s already maxed out for RSVPs. As a mainstream tech festival, guests at SXSW care about UX. Getting crypto’s usability up to a level that’s actually attractive to non-techies is a recurring theme in the space. There are two notable design events taking place: consulting firm IDEO will run a workshop on Thursday, March 14, and ConsenSys is organizing a design workshop on Wednesday, March 13 featuring uPort and Coinbase. ConsenSys founder Joseph Lubin will appear in a keynote session again this year, this time in conversation with Manoush Zomorodi of the Civil-backed podcasting company ZigZag. For those hungry for a little more drama, Jimmy Song of Blockchain Capital is taking on IBM’s Christopher Ferris in a debate over permissioned vs. permissionless blockchains. Always game for a rhetorical wrestling match, we saw Song debate Lubin at Consensus 2018 on the side of bitcoin maximalism. With SXSW’s music programming taking place nearby, there are also sessions exploring mashups of music and blockchain technology. A cross-industry panel featuring IBM and MIT will dig into progress on the topic. Additionally, a freelance blockchain developer working on Imogen Heap’s long-awaited Mycelia project will give a demo of progress so far. Lastly, SXSW is reputed to be a place where entrepreneurs have a chance to meet investors in a more informal setting. To that end, venture capital will be featured both in the main programming and at the ConsenSys blockchain house. The big event is the Cryptofund Roundtable on Saturday morning. Another way to get funds, though? Steal them. There’s programming on that, too. The pressure is on for crypto companies in Austin. But it’s not only crypto-native companies telling their story. Established brands have been working with the technology, too. For example, tech giant IBM will have a large presence in Austin. This will be the first SXSW event for Dapper Labs, the company behind CryptoKitties. Dieter Shirley, who invented the ERC-721 non-fungible token standard that made the cats possible, told CoinDesk that he’s up to the challenge of winning over a public that’s interested in these topics but not quite sold yet.
" Mantap! baru join dah dapat hasilnya,walau baru sedikit tapi bikin semangat dapat penghasilan lebih banyak. "